Brittany and David are a great team! Literally drove me around town to find the Legacy I needed. Both are subject matter experts in people and Subarus, respectively, and gave me alot of confidence buying this car. Great work, my wife bought through Morries too and I recommend you do as well! Everyone here is so polite and helpful. My service advisor, Chris, was outstanding. The service was performed very quickly. Was told my service would take over an hour and it was actually done in less. Very happy with my service! It was very easy to make an appointment. I called and got in at a time that was convenient for me. I was in for a routine tire rotation and inspection. When it was done, the mechanic that did the work sent me a video that showed everything that she had done step by step. That was super cool and just reinforces my feeling that the work was done right. I have used your service for more than 20 years. 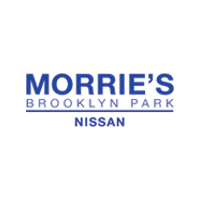 No one touches my cars but Morrie, thanks to Chris Fagerlie who I trust with the smallest to the largest job on my car. When he leaves/retires … then so will I and all those have followed me here. Customer service was wonderful ,they are quick, got my car back within 24 hours aand quality parts ! !